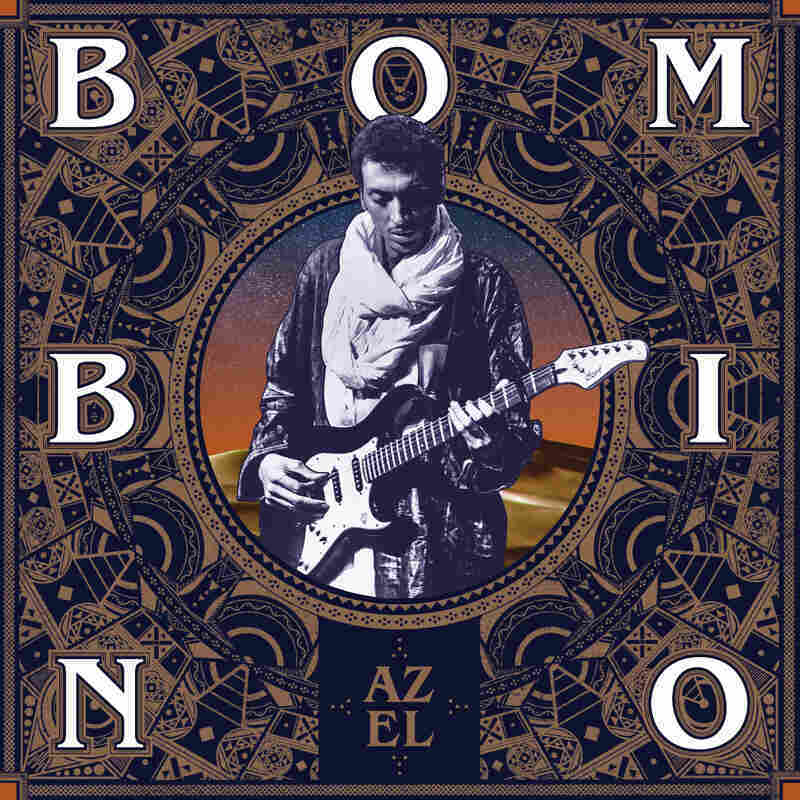 Review: Bombino, 'Azel' Out of a well-documented generation of talented Tuareg rockers, the great guitarist has emerged as the most virtuosic and melodically innovative. At this point, Bombino — a.k.a. Omara Moctar, a Tuareg guitarist and singer-songwriter from northern Niger — is an old hand on the international scene. It was more than a decade ago that cassettes of his music circulated in the Tuareg communities clustered around the Sahara Desert. Ten years ago, he traveled to the U.S. to record a session (with The Rolling Stones' Keith Richards and Charlie Watts, no less) and then start touring these shores as a sideman with a Tuareg band. But his career in the U.S. and Europe as a solo artist has been in full force for a while now; it was five years ago that NPR Music presented him in a full concert from New York's (Le) Poisson Rouge. Over that time, Bombino has more than found his groove, perfectly balanced between mastery and ease. Out of a well-documented generation of talented Tuareg rockers, he's emerged as the most virtuosic and melodically innovative, as he's layered his voice over sparkling guitar riffs. He hasn't uprooted himself: He continues to sing in his native Tamashek about Tuareg issues, and in his tunes you can still hear the feedback loop between West African sounds and music of the Americas, from rock, blues and R&B to Caribbean dancehall and reggae. But he's also found room for experimentation over the course of three studio albums, from his first solo project, 2011's Agadez, to the buzzed-out garage vibe of 2013's Nomad, produced by Dan Auerbach of The Black Keys. Now comes Azel, with Dave Longstreth of Dirty Projectors as producer; according to Bombino, Longstreth let him take the sonic lead, which was apparently not so much the case with Auerbach. But it's in songs like the lilting "Naqqim Dagh Timshar" (We Are Left In This Abandoned Place) that Bombino's artistry is on its brightest display. (Having spent a bit of time in the Sahara with Tuareg musicians from across their diaspora, I can say that that sort of slow burn feels exactly right.) The guitar is front-and-center. Bombino sings with passion, in that signature honey-and-sand voice, about the currents of Tuareg identity and politics, as well as his people's precarious position at this very moment: "Everyone has left us / The world has evolved / And we've been abandoned," he sings. "The whole world has evolved / Why haven't we?" Bombino may be prodding others there, because no one can say that he's content to rest with his prodigious gifts. Musically, he's always moving on to some new destination.